Among the institutions to have their records requested are the Trump Organization and the Internal Revenue Service, as the attorneys seek to prove the president violated the Constitution's clauses banning emoluments, or the profiting off public office. 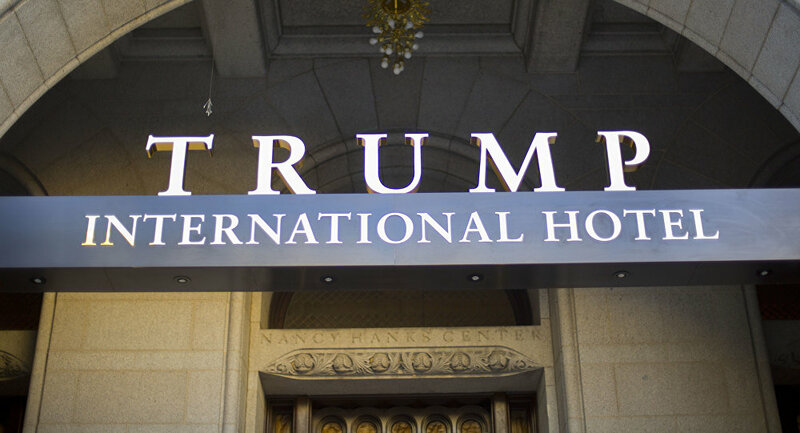 Their lawsuit alleges that foreign and domestic spending at institutions owned by the president, including his hotel in Washington, DC, amounts to gifts to the US head of state. In order to avoid such a conflict of interest, past presidents have either divested their investments or placed them into a blind trust before occupying the White House; Trump did neither, instead placing his adult children in charge of his businesses, NBC noted. The case, filed in June 2017 in the US District Court for the District of Maryland, has advanced where others have failed. Judge Peter J. Messitte has rejected the Justice Department's arguments that the attorneys general lack legal standing to pursue the case, shooting down arguments that the emoluments clauses don't cover private business transactions. Similar suits in a Washington federal court and in New York have stalled, making this the first to proceed to the discovery stage, despite the best efforts of the Justice Department to block it. The DOJ said on Friday it intends to appeal the case in the 4th Circuit of Appeals and block the cooperation of lower courts with the case, Politico reported Monday. The Trump Organization has claimed it donates the profits from transactions involving foreign entities to the US Treasury. Back in March, a Treasury official announced the Trump Organization had given the department $151,470, but the group hasn't provided details on how those numbers are calculated. "They could have paid 10 times more or 100 times more, and we would equally have no way to judge whether the amount paid reflects their actual profits or how they calculated it, and which governments have been patronizing Trump properties," Robert Weissman, president of nonprofit consumer rights advocacy group Public Citizen, told the Washington Post at the time.